Lindsey is getting more driving time in before she gets her licenses. 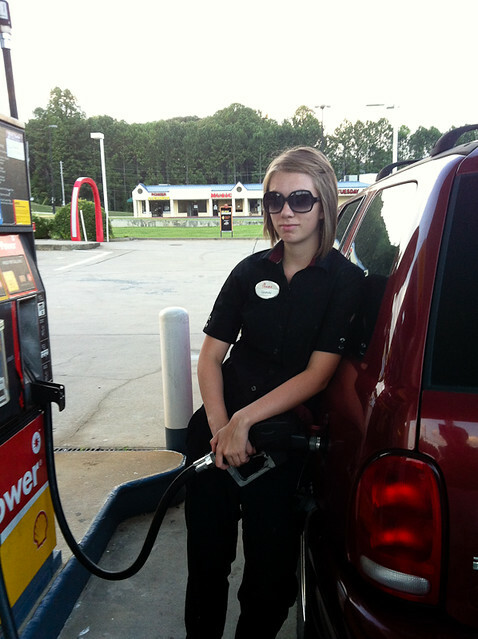 And of course she needs to learn the fine art pumping gas. The next step is getting her to pay for the gas as well.